This article is our guide line for configuration WP Rocket(http://wp-rocket.me/) plugins and Cloudflare (https://www.cloudflare.com) with free package. Both of them are used on all my theme. Now, let get started. 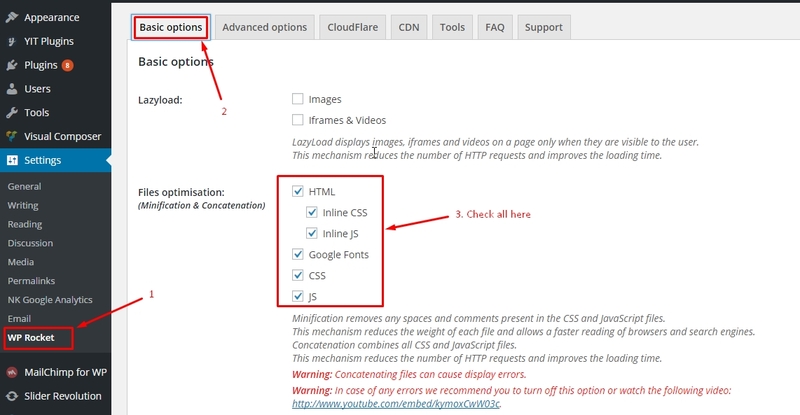 This article is our guide line for configuration WP Rocket (http://wp-rocket.me/) plugins and Cloudflare (https://www.cloudflare.com) with free package. Both of them are used on all my theme. Now, let’s get started. After all step above done, click “Save Changes” button. 2.1. Integrated DNS’s your domain to CloudFlare. 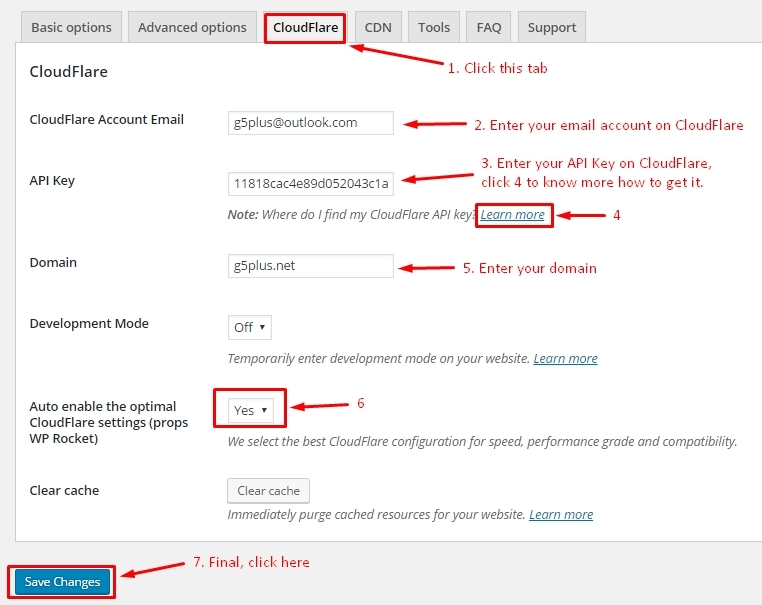 Login to account manager domain then change/point DNS value to DNS cloudflare’s server. In case you don’t know what to do, please contact domain provider. 2.2 Add DNS your domain to DNS cloud’s server. Result as below(example) is ok. In case color of “cloud icon” is grey => not correct, you must click on “cloud icon” to change. Hopefully this guide is helpful to you.